Most people dream at night, but not everyone always remembers those dreams. 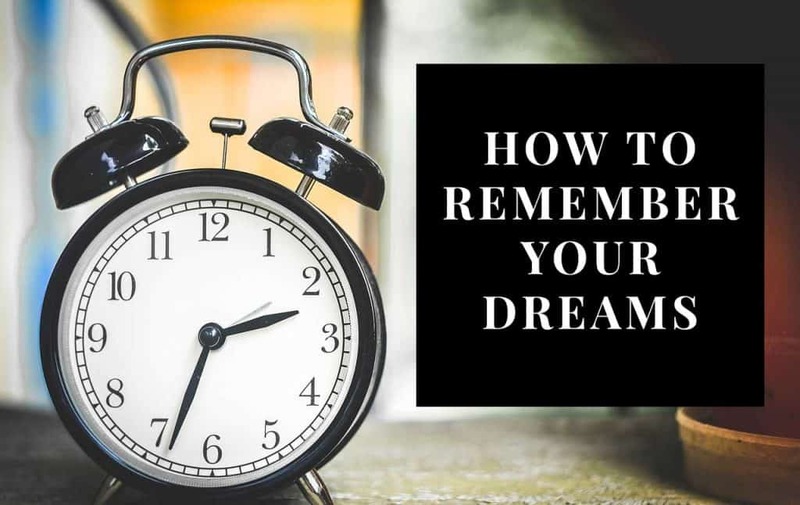 If you have problems remembering your dreams, this post will help you learn how to remember you dreams and experience better dream recall. Before you start trying to remember your dreams, it helps to know what some of the benefits of remembering dreams are. If you're wondering to yourself, "why should I remember my dreams?" there are a lot of good reasons! These are just a few of the different reasons why remembering your dreams is so important. When you remember you dreams, it gives you the power to unlock the meaning of dreams and apply it to your waking life. If you have trouble remembering your dreams, don't despair. There are many things you can do that will help make it easier for you to start remembering them more often and with great detail. Best of all, most of these things are very simple to do - and may even help you get a better night's sleep! Before you fall asleep at night, think to yourself: "I am going to remember what I dream about tonight". This helps reaffirm to yourself that you want to remember your dreams. By making it a conscious decision, it will help you better remember your dreams when you wake up. This can sometimes help you give your dream some focus and help you better remember whether or not the dream provided some guidance in answering your question. It also helps you get in "dream remembering mode". A healthy sleeping routine means to go to sleep at the same time each night and to wake up the same time each morning. You should try to get at least 7-8 hours of sleep each night. It's also a good idea to shut down technology before bed as well. You may need to use an alarm clock to wake up, but it's better if you can wake up without one. An alarm clock or being woken up abruptly can cause you to forget most of your dream. Practicing to wake up at a certain time, and telling yourself you want to wake up at a certain time before you fall asleep can help make waking up naturally easier. If you absolutely must use an alarm, keep it very close to the bed and make it easy to turn off - you should be able to turn it off with your eyes closed. When you wake up, try not to move a whole lot and keep your eyes closed. Try to recall as much as you can about what you were dreaming about. Replay it in your mind as much as you can. It can also help when you first wake up to immediately ask yourself, what was I just dreaming about? Once you are awake but still have your eyes closed, try to stay in the dream as long as possible. For some this may only be a few seconds, for others this could last several minutes. Think about the most vivid parts of the dream and what parts of the dream stood out the most to you. It's okay if you can't remember all the fine details. If there was dialogue in your dream you want to remember, try saying it out loud. Writing down your dreams will help you get in the habit of remembering them more often - as well as make it easier for you to understand the meaning of the dream. Try to write down as much as you can with as much detail as possible. See Keeping a Dream Journal for some tips on writing your dreams down. It's okay if at first you do not have much to write about - the more you practice, the more you will start to recall and have to write about. Sometimes a picture can be better than words when it comes to recalling dreams. You do not have to be a fantastic artist - a rough sketch can sometimes help you better recall what you saw or what happened in the dream more than words. Once you are out of bed, try to reflect on what you dreamed about. Do not turn on the TV or the radio right away, and try to find a quiet place to think about your dream in more detail. Think about how the dream made you feel or what the dream may mean to you. 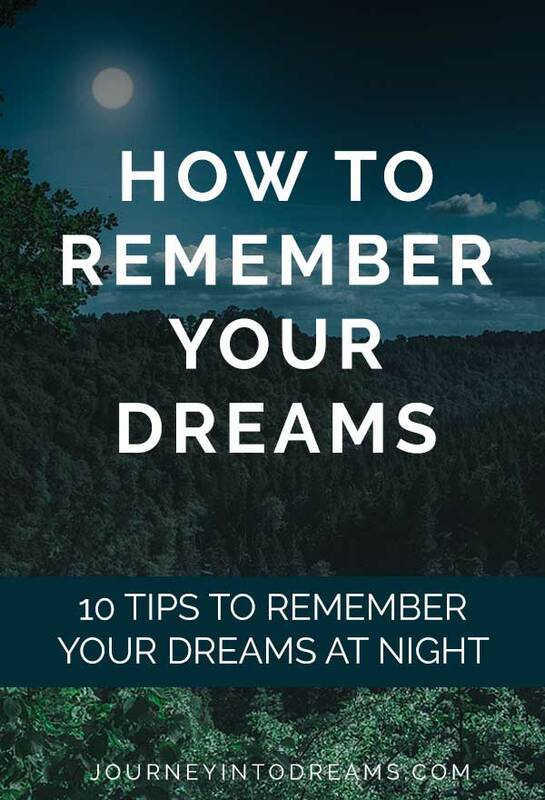 If there are details you remember, you might want to learn how to interpret dreams or look up some of the things you recall about the dream in our dream dictionary. It may take several days or even weeks before you start remembering your dreams. Don't give up! Keep doing the suggestions listed here for at least a month - you will soon start remembering little bits and pieces until eventually you will be able to recall your dreams in great detail. It can take some practice, and it can be frustrating at first, but learning how to remember dreams will help you with many things in your life. Your dreams are a very powerful way of finding guidance, healing, stress relief, and more. By remembering them, and learning how to interpret them, you will be able to unlock the hidden power of your dreams and experience all the benefits. Do you have a hard time remembering dreams or is it easy for you? Share your tips for remembering dreams better in the comments section below! This website is AMAZING! The REAL deal! I am very grateful and thankful I found this website! Very factual, clarifying, realistic, educational and helpful! Thank You!! !